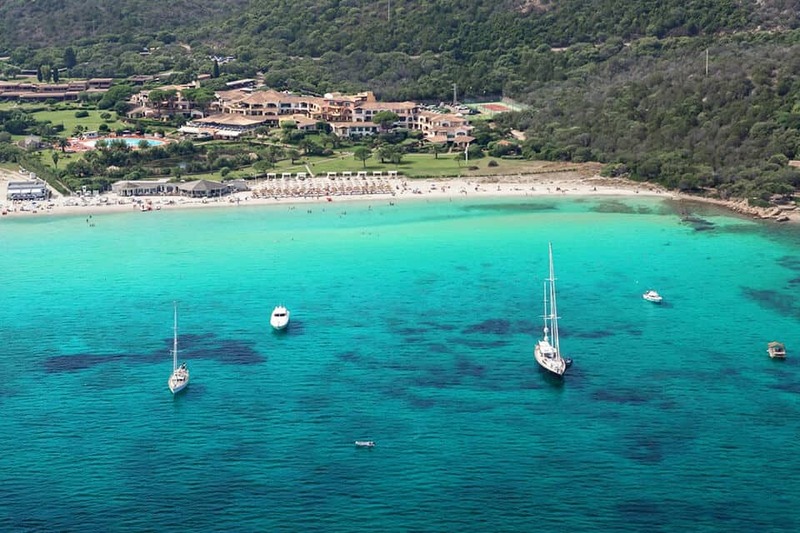 Welcome to our latest 5 star family resort in Sardinia – Abi d’ Oru. 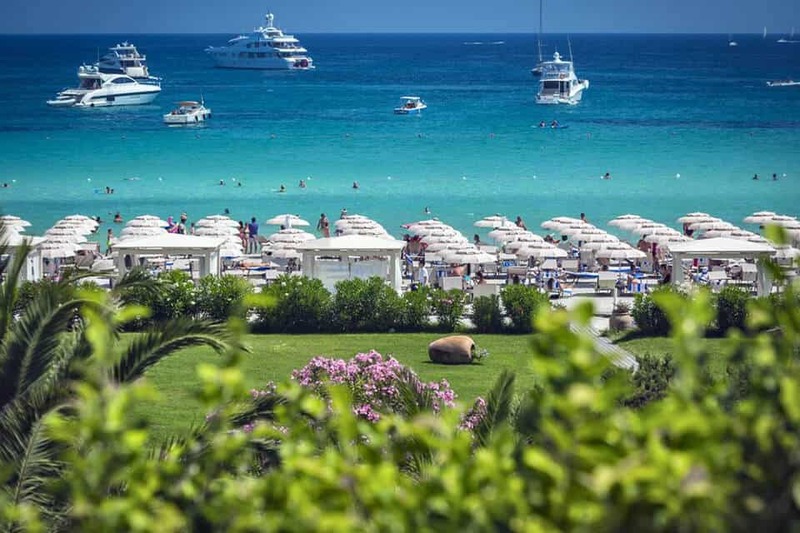 Located on the fabulous Marinella Beach in the northern part of this magical Italian island this superb hotel offers the perfect luxury family friendly beach holiday with a choice of fabulous hotel rooms or suites with a sumptuous beach location , sports and sensational Italian cuisine. 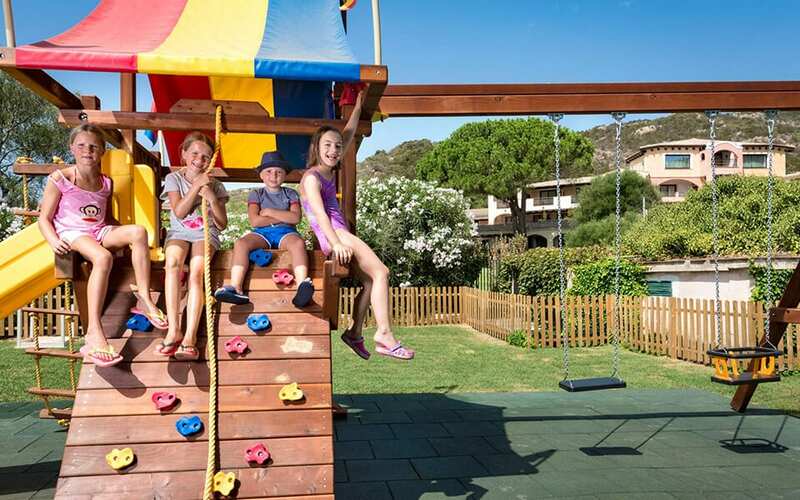 What we say : Our search for a 5 star family friendly resort in the North of Sardinia has finally ended, the Abi d’ Oru offers fine Italian hospitality with a superb choice of hotel rooms & suites in a stunning beach setting. Abi d’Oru has150 rooms – which include 14 Junior Suites, 18 Suites and 2 recently refurbished Signature Suites – almost all enjoy sea or garden views. The Abi d’ Orus Signature Suites cover 100sqm and offer simple luxury that reflects Sardinian traditions. Each suite offers 2 bedrooms, 2 bathrooms in golden marble from Ulassai with a bath or shower and a living room opening onto a terrace overlooking the bay. Guests in the Signature Suites enjoy exclusive benefits including reserved loungers and umbrellas along the waterfront, as well as mineral water and fresh fruit served regularly throughout the day. As well as breakfast dining in a reserved area of the restaurant with a fabulous à la carte menu. The Deluxe Suites at Abi d’ Oru boast magnificent sea views with a spacious bedroom and a separate sitting area with 2 sofa beds. Sizes range from 50 – 55 sqm and can accommodate 2 -4 guests. All deluxe suites and are finely furnished in Sardinian style, with warm and rich colours, each has spacious balcony with stunning views of the sea or large patios with access to the pool and garden area. They come equipped with A/C, Wi-Fi, satellite TV, minibar, safe, beach towels and bathrobes. Each Family Classic has a small terrace sea-side, and all have satellite TV, Wi-Fi, air conditioning, minibar, safe, beach towels and bathrobes. The spacious Junior Suites offer sea views. Each are decorated in a Mediterranean style, using traditional local materials and tones, such as marble from Orosei and woven rugs from Samugheo, each Junior Suite varies in size from 30 to 40 sqm and includes a bedroom & living area. Chairs and tables on the terrace are perfect for enjoying an unparalleled vista over the Gulf of Marinella. Junior Suites are equipped with air conditioning, Wi-Fi, satellite TV, minibar, safe, kettle, beach towels, slippers, dressing gowns and amenity packs. Baby cot or extra bed available on request. Deluxe Rooms are beautifully furnished with local Sardinia wood and fabrics with a touch of the Miditerannean. Some feature balconies with views over the Gulf of Marinella, while others are ground floor with direct access to the beach and limited sea view. Deluxe rooms come equipped with A/C, Wi-Fi, satellite TV, minibar, safe, beach towels & bathrobes, and measure between 22 – 28 sqm. Guests may choose between a double bed or two single beds. An optional extra bed or cot can be added in some rooms upon request. Contemporary elegance and Sardinian tradition melt into a unique style mix in the elegantly Garden Deluxe rooms at Abi d’ Oru. All garden Deluxe rooms are ground floor with direct access to the garden leading towards the white sandy beach. Garden Deluxe rooms also come equipped with air condition, wi-fi, satellite TV, minibar, safe, beach, towels and bathrobes and measure between 28 – 32sqm. Guests may choose between a double bed or two single beds. Some have a sofa bed in order to accommodate up to 3 guests. Note to Design Holidays guests : Garden Deluxe Rooms offer limited sea views due to the vegetation of the garden. 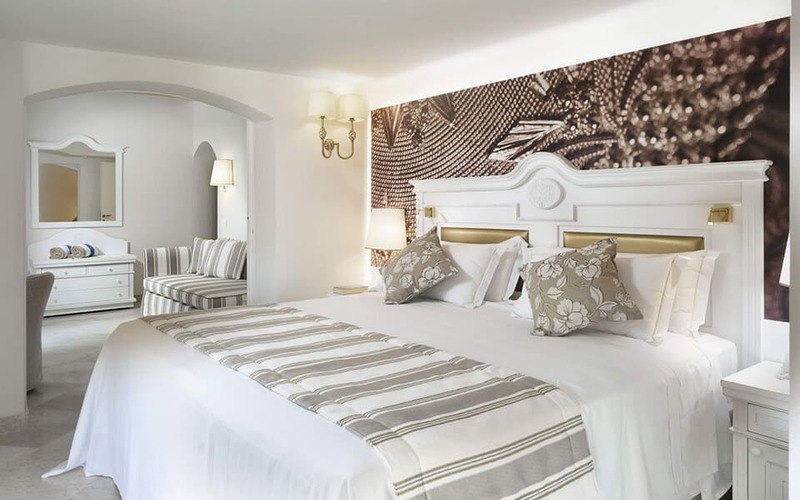 Superior Rooms at Abi d’Oru are decorated using typical Sardinian fabrics and colours with a contemporary twist, offering wonderful views over the Gulf of Marinella from their private balconies or, on the ground floor patios which provide direct beach access. Each Superior room varies from 18 -25 sqm and are equipped with air conditioning, Wi-Fi, satellite TV, minibar, safe, beach towels and dressing gowns. Guests may choose between double bed or two single beds. Baby cots or an extra bed can be added in most rooms. Standard rooms at Abi d’ Oru are decorated in typical Sardinian style, cool and shaded with private balconies looking onto the garden or the hills that shelter the gulf of Marinella from mistral winds. Varying from 18 -25 sqm, the standard roomsare equipped with air conditioning, Wi-Fi, satellite TV, minibar, safe, beach towels and dressing gowns. Guests may choose from double bed or two singles. Baby cots or an extra bed can be added in most rooms. Abu d’ Oru offers 4 superb restaurants & 3 bars. Offers breakfast, buffet, a la carte menu and themed Sardinian dining evenings. 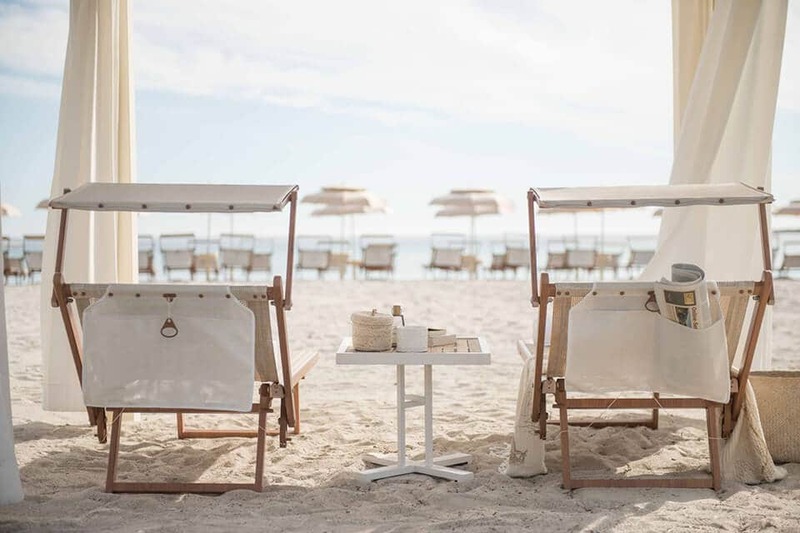 Fabulous beach side location offering meat, fish on the grill in a cool and vibrant luncheon setting but by night offers the most fabulously intimate candlelit setting. Super Italian fine dining in a discreet setting. Enjoy the most mouth-watering culinary journey through the island’s gastronomic specialties. The extensive wine list also features Sardinia’s top vineyards. Spa Abi is a refuge for the soul, where calm and attentive staff take care of your every need. Abi Spa has 4 treatment rooms and is named after the essential fragrances of Sardinia, each guest can enjoy and extensive menu of massages and spa treatments. 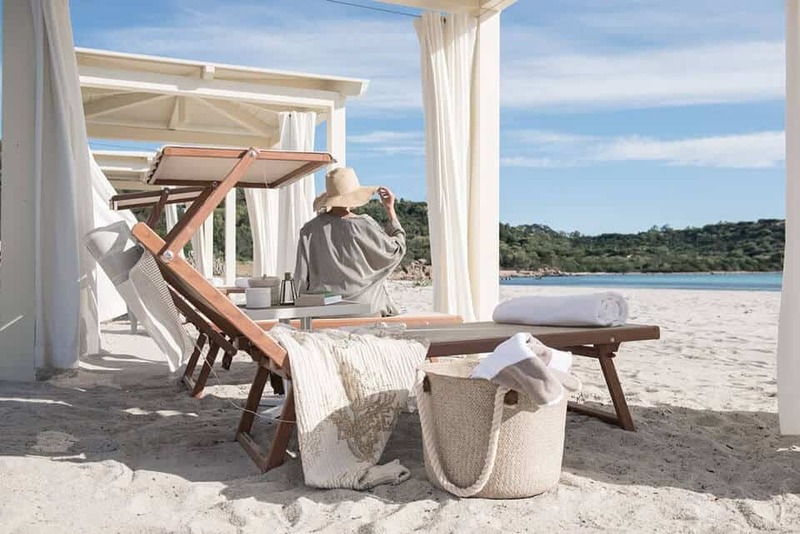 There is also a Turkish bath, ice waterfall and Himalayan salt walls..
Marinella beach is one of the most beautiful in Sardinia, and lies just beyond the garden, the pool and the natural pond of Abi d’ Oru. Its fine white sand meets a turquoise sea that shimmers into every imaginable shade of blue as it dissolves into the horizon. Watersports at the Abi d’ Oru beach offer diving school, sailing and surfing facilities, canoe rental, inflatables. Boat hire is available close to the Abi d’ Oru. Yoga, Pilates and full gym programmes are available to all Design Holidays guests at Abi d’ Oru as are the enjoyment of 2 tennis courts, football and volleyball areas. All sports can also include tuition at extra cost. Golf can be arranged by the Abi d’ Oru concierge at the nearby Pevero Golf Club. Abi d’ Oru offers it’s own fabulous Bee Happy Kids Club a space where little ones can have fun. A world specially tailored to kids, where they can make friends, play and get creative under the supervision of Abi d’ Oru’s childcare team. Water games, group games, recreational and sporting activities keep children entertained from morning to evening, making their holiday at Abi d’ Oru unforgettable. Monday – Saturday: 10am-1pm and 4pm-7pm. Wednesday(during the Sardinian dinner) and Friday (during the farewell dinner with the adults) the Abi d’ Oru also offers a dinner for the children with Laura. *Customers can reserve Babysitting services for a fee day or night. 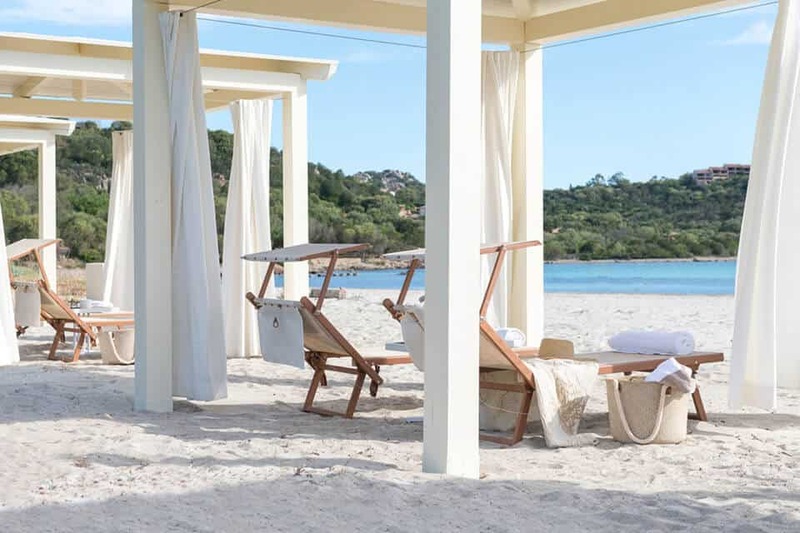 The Abi d’Oru Sardinian Beach Hotel & Spa is located on Marinella beach, 4 km from Porto Rotondo & 20 km from the uber cool Porto Cervo / Costa Smeralda. Best airport – Olbia.